The road to a Driving Under the Influence (DUI) charge is a simple one that you do not want to go down. If you are pulled over because a police officer has reason to believe you are driving while intoxicated, you impliedly consent to field sobriety tests. 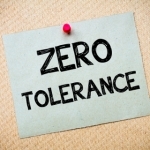 There are a variety of tests the officer may be able to conduct to determine whether or not you are under the influence of a drug, drug metabolite, or alcohol. 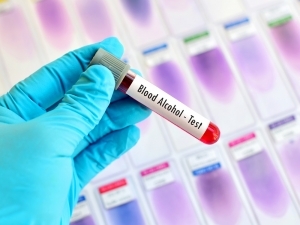 If these tests show that you have a blood alcohol concentration (BAC) of over 0.08% (or less in the case of a commercial vehicle), you will be arrested and charged with a DUI. 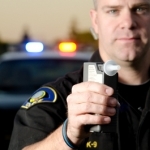 What types of tests can a police officer conduct to determine your BAC? The most standardized chemical tests are blood, urine, and breath tests. There are other types of field sobriety tests that are used, but they have been sanctioned by the National Highway Traffic Safety Administration (NHTSA).1 The chemical tests will no doubt be more accurate than other field sobriety tests, but each has its own flaws depending on the circumstances. 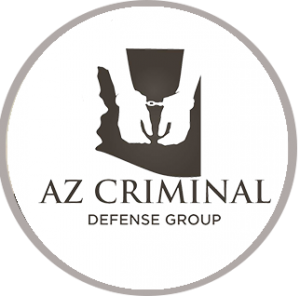 If you have been arrested for a DUI and your BAC was over 0.08% because of one of these tests, you should contact an Arizona DUI attorney. Your attorney will be able to best assess your situation and put forth your best defenses against any test inaccuracies. Contact a dedicated Phoenix DUI lawyer at Ariano & Associates who are on call 24 hours a day, 7 days a week. 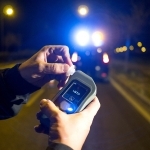 Field Sobriety Tests: Standardized and Non-Standardized, fieldsobrietytests.org, http://www.fieldsobrietytests.org/(last visited Dec. 16, 2014). 2 Peter Johnson, Challenging the Blood Test In a DUI Case, dui.drivinglaws.org, http://dui.drivinglaws.org/resources/dui-and-dwi/dui-defense/challenging-blood-test-dui-case.htm (last visited Dec. 18, 2014). 3 Rich Stim, Why Urine Tests Are the Least Reliable DUI Chemical Test, dui.drivinglaws.org, http://dui.drivinglaws.org/resources/dui-and-dwi/why-urine-tests-least-reliable-bac.htm (last visited Dec. 18, 2014). 6 Breathalyzers Fail Legitimacy Test, motorists.org, http://www.motorists.org/dui/breathalyzers-fail-legitimacy-test (last visited Dec. 18, 2014). 7 David J. Hanson, breathalyzer Accuracy and DWI/DUI Conviction Rates, ww2.potsdam.edu, http://www2.potsdam.edu/alcohol/DrivingIssues/1093825780.html#.VJOxcV4Ac (last visited Dec. 18, 2014). 8 Horizontal Gaze Nystagmus: The Science & The Law, nhtsa.gov, http://www.nhtsa.gov/people/injury/enforce/nystagmus/hgntxt.html (last visited Dec. 16, 2014). 10 Horizontal Gaze Nystagmus, duifoundation.org, http://www.duifoundation.org/drunkdriving/testing/fieldsobriety/horizontalgazenystagmus.php (last visited Dec. 18, 2014). 12 One-Leg Stand, duifoundation.org, http://www.duifoundation.org/drunkdriving/testing/fieldsobriety/onelegstand.php (last visited Dec. 18, 2014). 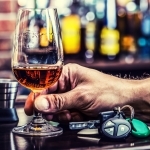 15 Standardized Field Sobriety Testing, nhtsa.gov, http://www.nhtsa.gov/people/injury/alcohol/sfst/appendix_a.htm (last visited Dec. 18, 2014). 16 DWI One Leg Stand Test Accuracy, d-w-i.org, http://www.d-w-i.org/dwionelegstandtestaccuracy.html (last visited Dec. 18, 2014). 17 Walk and Turn, duifoundation.org, http://www.duifoundation.org/drunkdriving/testing/fieldsobriety/walkandturn.php (last visited Dec. 18, 2014). 19 Standardized Field Sobriety Testing, supra note 15. 20 Walk and Turn Test Defenses, walkandturntest.net, http://www.walkandturntest.net/ (last visited Dec. 18, 2014).